I am so excited to bring you a new magazine. 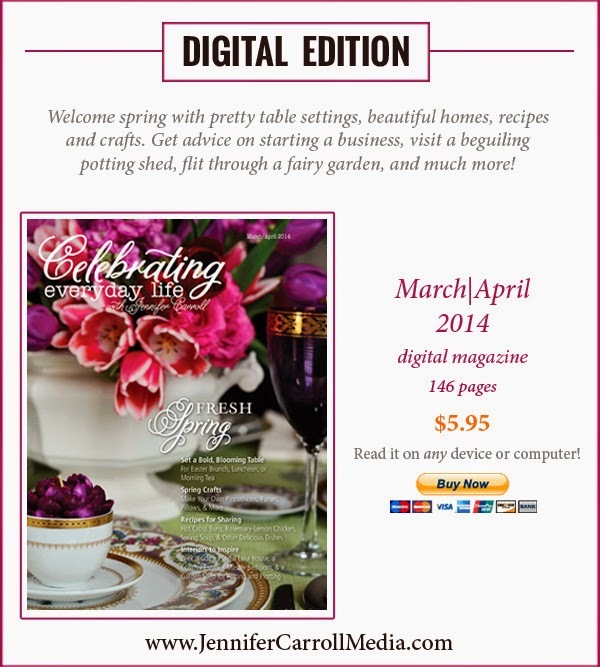 I was contacted by +Jennifer Carroll to review her new magazine. This pleasant opportunity was snapped up in a heartbeat. I am able share something new with all of you. Awesome!! Even better I fell in love, when I opened the link to reveal this fresh breath of Spring, dazzled with simple to elegant pieces, of a Queens Table. 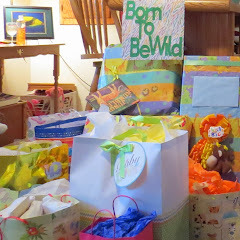 As the pages turned I found each one to be a treasure trove of ideas, information and complimentary blogging material. The wealth of resources to help each one of us with our desire to keep on trend, just kept mounting as the pages held my attention, with stunning photography. Lets start right at the front door , with this Umbrella Decoration. A creative twist to a welcoming wreath for the season. 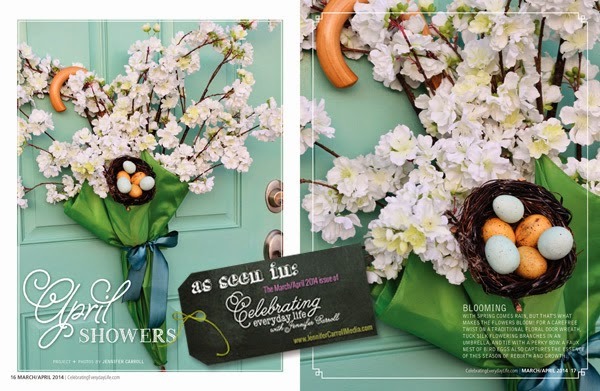 Next I became enchanted with these Easter Bonnet ideas. 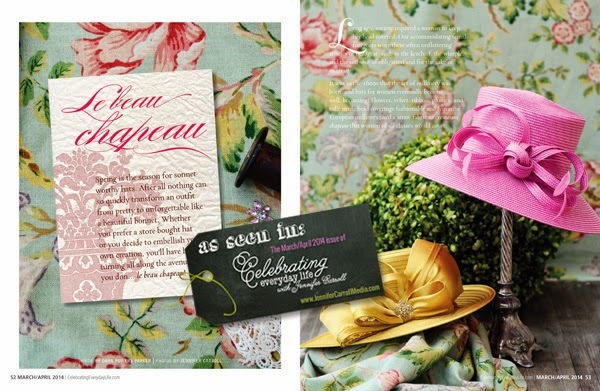 I love the white hat in the magazine, which can be gussied up for the day, with ribbons, buttons, or a broach. After the Holiday change it up and it will be a great summer beach hat. These Chapeaus would make a colorful Easter Parade! 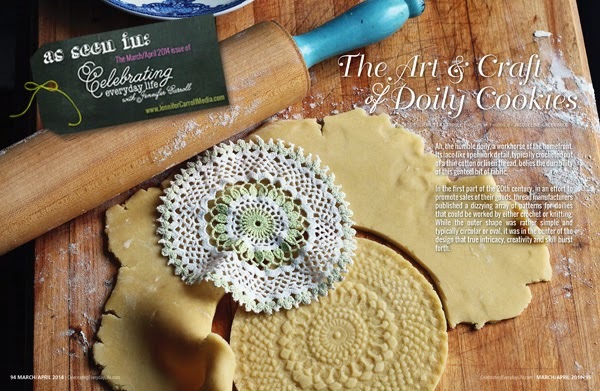 How about a tasty recipe for a beautiful cookie, pressed with doilies to give the look of lace. 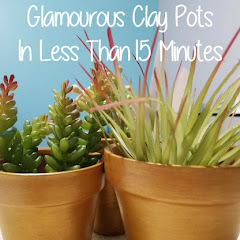 Wouldn't these be a perfect addition to a tea or brunch with the girls. They also would be perfect for the Spring time ritual of wedding showers. Articles including tutorials are in these pages,which covers so many different skills to learn, or sharpen, while diving into the pages. 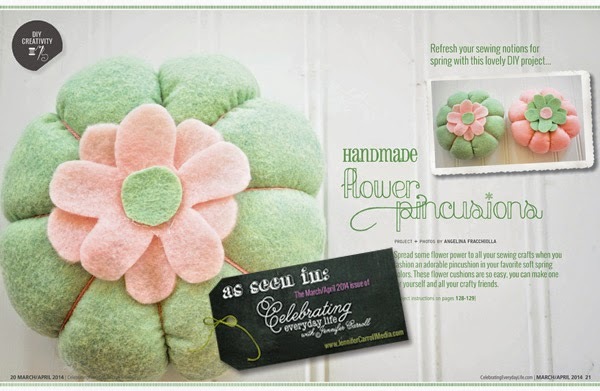 Here is one of the sewing articles, which is a tutorial on how to make this flower pin cushion! 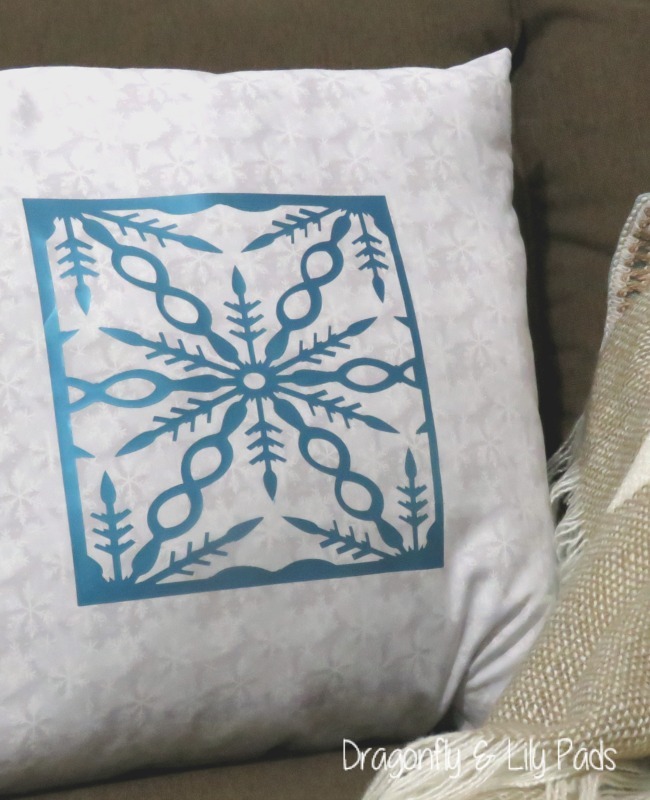 I love to sew and would love this for a sweet homemade Mother's Day gift. 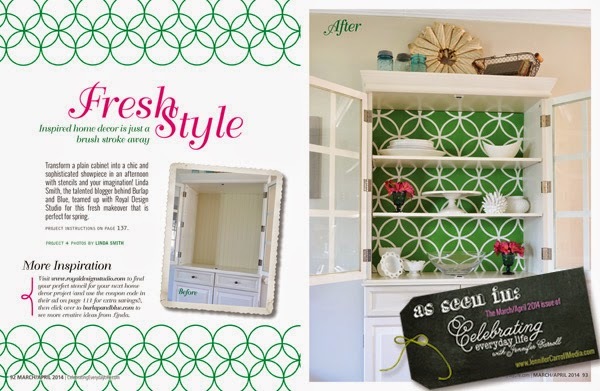 The Last Photo I will share, to entice you to read this fabulous magazine, is a furniture update done with, paint and foam core. Yes that is what I said! This China Cabinet painted in a neutral color but, the daring background is the secret, (Foam Core Board). How about decorate or style the back side of the core board too? This way you can either remove it, or flip it, making three ways to change your cabinet. I do understand Jennifer Carroll wanted to honor all who contributed work to the beautifully photographed, well written celebration of life, illustrated in this creative magazine. I do have one suggestion keep reading, because the pages I describe follow the snippets of articles, in the beginning of the magazine. As I read these pages, I wanted to read several snippets, and then see the full article matching those tidbits. Then read more snippets with the articles to follow. Now you may think I should have credited the amazing talent shared in my review but I gave this careful thought. I want you to read the magazine. 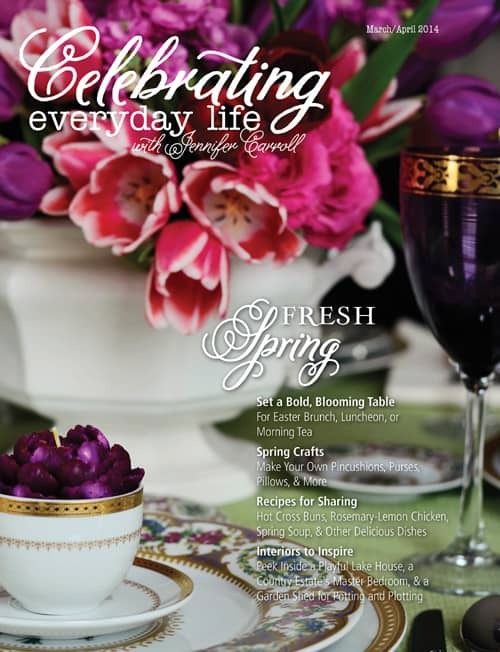 So please give Jennifer Carroll, along with all the talent in Celebrate Everyday Life Magazine your time by reading this terrific March/April edition. Included below is a link with a video to sample the magazine. You may also purchase this addition at this link too. I did receive this edition of the magazine to review at no cost to me. I have given a honest review, with my own thoughts, and words. 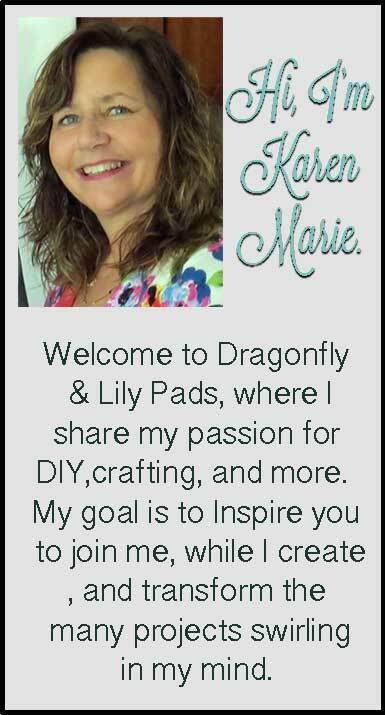 I was provided these fabulous pages to share with you during my review. I was not compensated in anyway for this post.